The “Surfers for Africa” project was born in 2012 during the visit of of a Quiksilver Foundation delegation on the Association Coeur de foret project in the village of Anambe in Casmance ( South Sénégal). To illustrate the difficulties, the Coeur de foret team took the delegation to visit the “health post” where pregnant women die each year because of dilapidated facilities, lack of hygiene or simply, lack of ambulance. Faced with this situation, Stephanie, Alain and Tom, ambassadors of the Quiksilver foundation, decided to launch an initiative to raise funds to renovate this health post and offer concrete solutions to the people of this village. The sponsors of the “surfers for Africa” project led away by the artist and surfer Tom Frager, have performed a song and video-clip entitled “ Nio far” ( “we are together” in wolof) which was be accessible on the website itunes to raise funds. Thanks to the funds raised by the sale of the “ Nio far” song, Anambe ‘s health post has been renovated and equipped. Many hopes are based on the purchase of an ambulance that would save many lives! 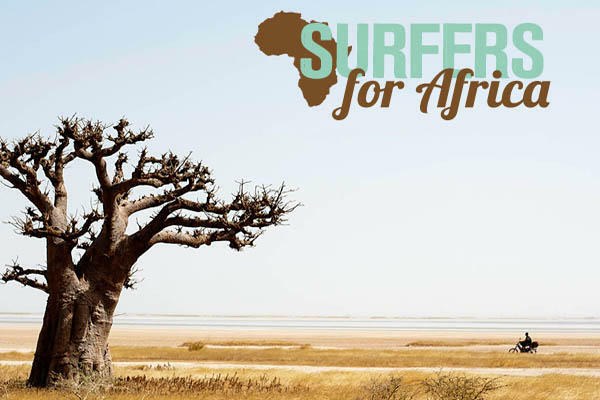 Longer- term sustainability can be given to the project “ Surfers for Africa” through other actions on the African continent.